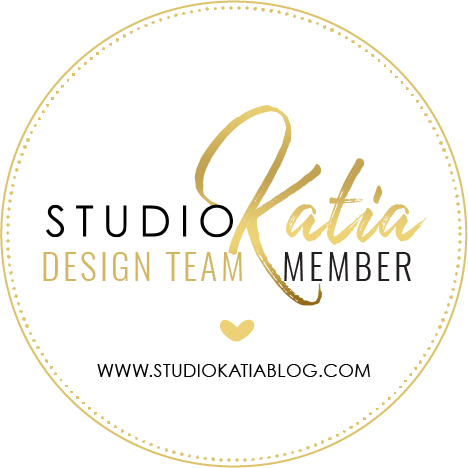 Just a quick post today to share that I am now a part of All Dressed Up design team! Hooray! They have the cutest and the sweetest digi stamps! Stop by their challenge blog to meet the rest of the DT. You can even join the Facebook group. 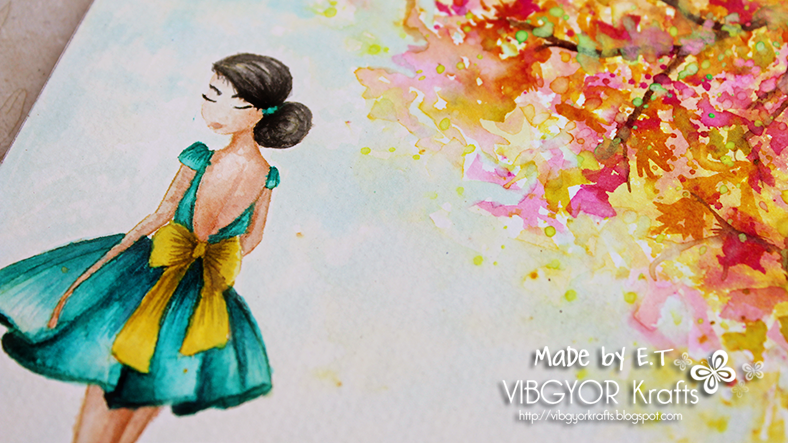 I have used distress inks to watercolor the image "Fairy Magic". 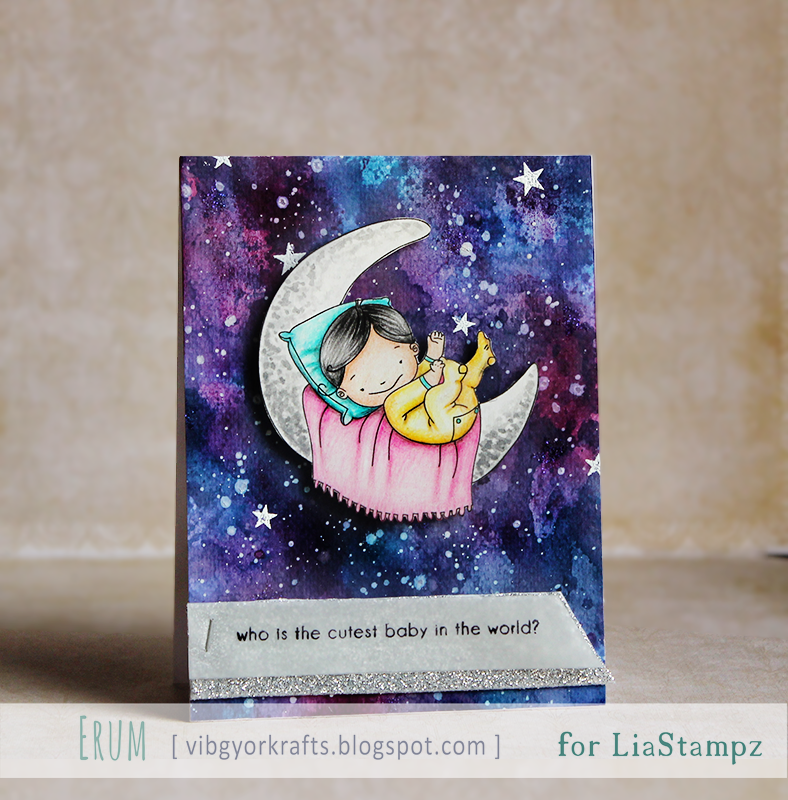 PS: Lia Stampz new release blog hop ends June 2nd. Visit THIS post for details, don't miss this chance to grab those beautiful flowers! 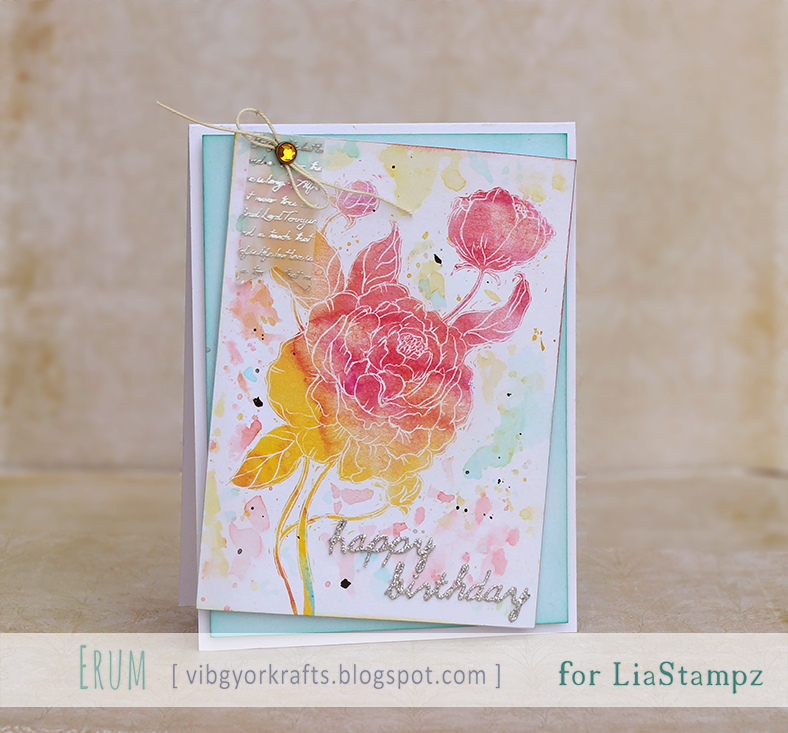 Hello and welcome to Lia Stampz Flowers blog hop! If you have just chanced upon this post then it's your lucky day! We have a prize for you on each stop on the hop so don't forget to leave comments! Erum Tasneem -- You are here! Lia Stampz is releasing a new set named "Flowers" (pictured above with link to the shop). We have FIVE flowers in this set and ELEVEN digis in all and oh-my-god they are oh-so-fun to work with! They are so versatile and I am going to share with you three VERY different (from each other) projects today. 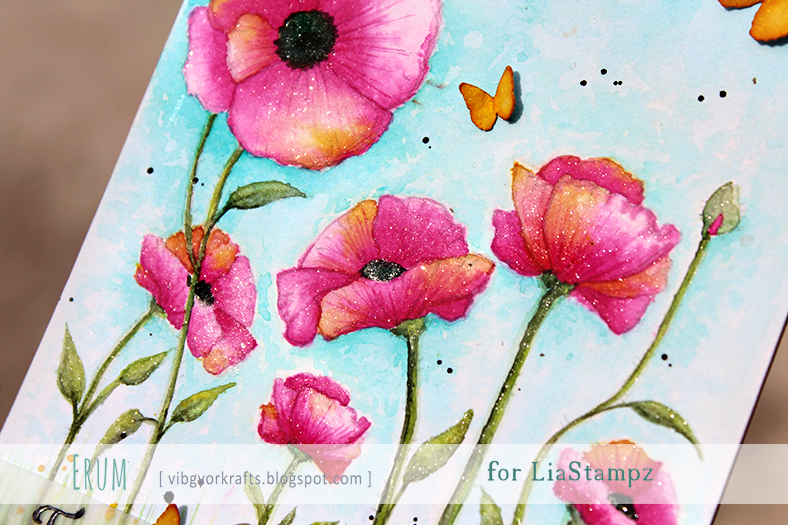 First up I used Poppies on my one layer card. 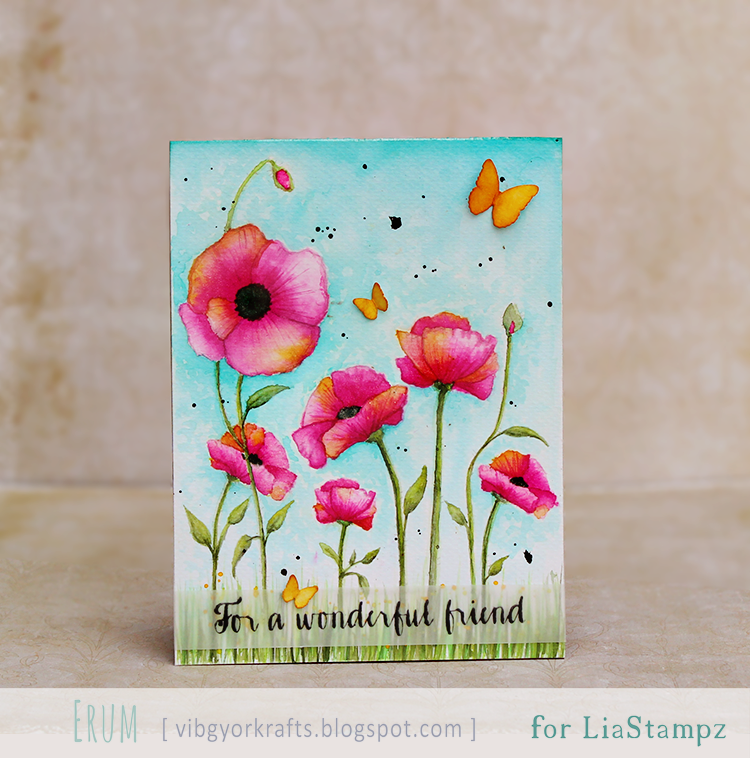 I watercolored the poppies using distress inks and added wink of Stella for the shimmer. Sentiment is by SSS, I stamped it on vellum and then heat embossed it. Can you see the sparkly goodness?!! 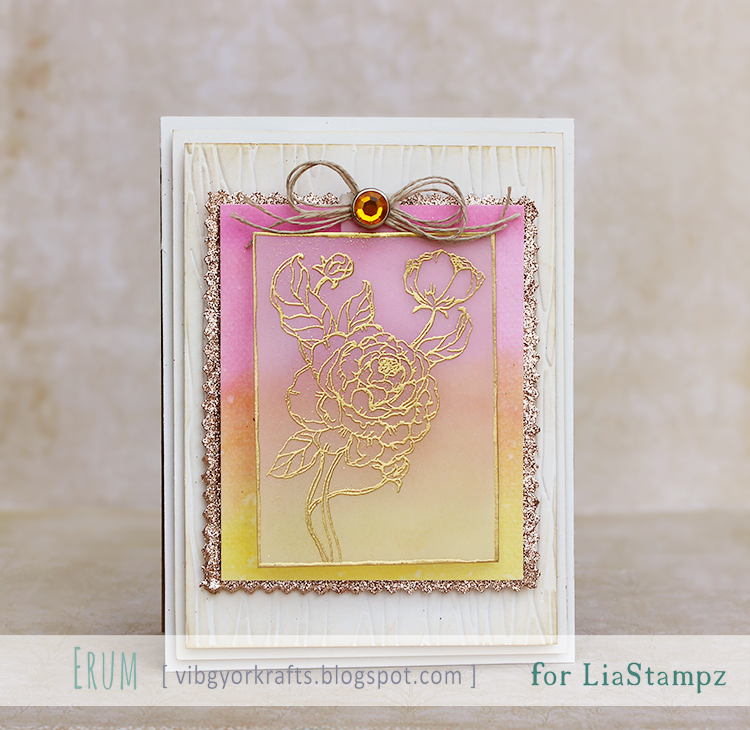 Next up is a heat embossed image card using Peonies. Here I printed the image on vellum and heat embossed it. Printer ink on vellum stays wet for a while so I used that "flaw" (not so much for me) to heat emboss the image. Maybe you can try this too and if you do try please link me up, I would love to see your work! I added a brad to the vellum piece and some twine to give it a look of a tag. Placed a colour-wash background behind the image and layered it with champagne glitter mat. I embossed and lightly ink distressed the base to add a bit more texture. Last but not the least, a hybrid watercoloring card again using Peonies. Here I manipulated the image on Photoshop. Played around with it till I was satisfied with the look. The only real watercolor element to this card are the splotches and splatter I added later on (surrounding the image). I added a bit of heat embossed vellum to balance the glittery sentiment die by Spellbinders, Brad is from an MME brad pack. WHICH FLOWER DO YOU LIKE THE MOST IN THIS SET? This blog hop ends June 2nd. 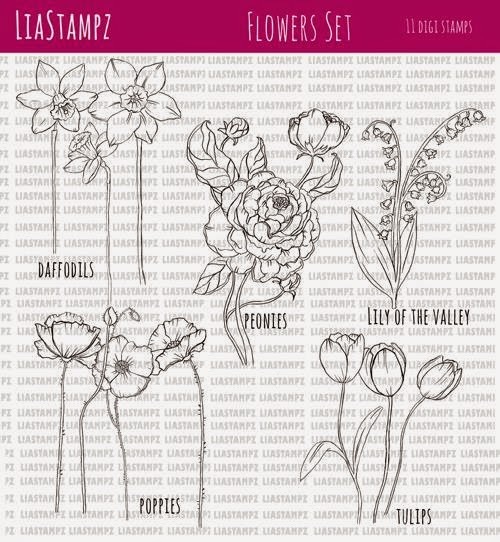 I will randomly draw one of the names from the comments and send them their favourite flower from this set! Now hop on over to Tracy's blog for some more flowery goodness! 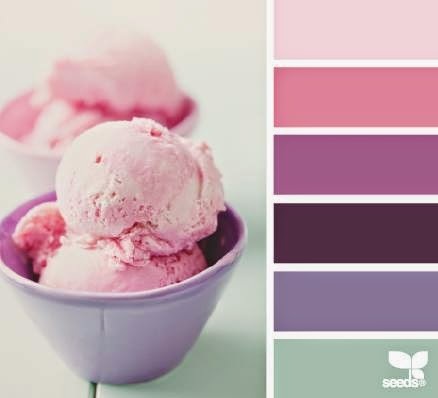 Sentimental Sundays: Happy Mother's Day or Really Girly!! Hello everyone!! I have been taking some time off from commission work and TRYING to relax. Anyhoo, I have been watercoloring - A LOT. I made two cards using the same image. The card above is a total watercolor card using distress inks, "Party Frock" image by All Dressed Up and sentiment by MFT. The "tree" I painted myself. The background here is watercolored but the image has been colored using Classic Faber Castell color pencils. Sentiment by SSS. I tried my hand at watercolouring a "galaxy" background using layers over layers of distress inks! And I think it came out great! Though I don't think I can make it again LOL This was a happy accident! 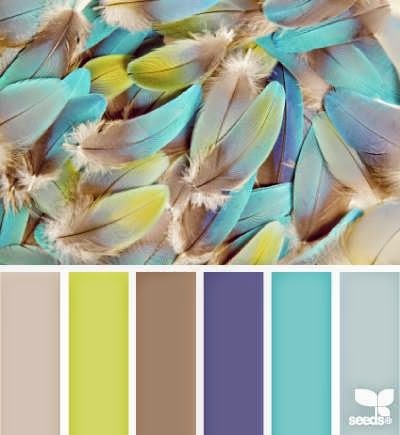 I followed the following color board and added only yellow as an extra color. The image that I have used is Baby Boy on the Moon. 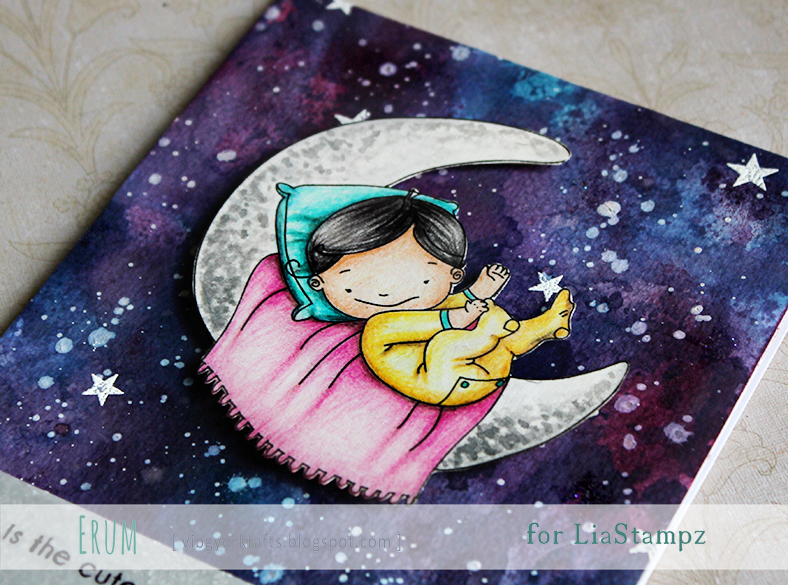 The moon is watercoloured using distress ink, the boy and it's pillow plus blanket are coloured with classic faber castell colour pencils. Till next time, have a super fab weekend!